Commercial fishing boats are regulated by Government agencies. To ensure clear identification and assist in enforcement of fishery laws each boat must display Port Registration Letters and Numbers. The style varies depending on the country that issues them, but they usually take the form of a letter code that identifies the port and a number that identifies the individual boat. Some countries reissue the same number when it becomes available after the loss or scrapping of a vessel, while others issue unique numbers to each new boat that is registered. · Some ports exist only as an administrative area and may issue registration letters although there is no significant fishing fleet. For example, the harbour at Banff in Scotland is used mostly by pleasure craft and is so small that no large trawler could enter it, but the registration letters BF, which, like all British registration letters, are issued by a centralised national office, are used by many fishing boats working from the big harbours of North East Scotland. 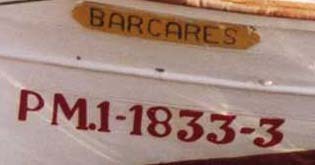 Within the European Community there is a common standard for the size and style of Port Letters and Numbers displayed on fishing boats registered in member states. · Lettering must be either white text on a black background or black text on a white background. Some large fishing boats, especially those working in international waters, or under licence from another country have the ship radio call sign displayed in large letters. These radio call signs may consist of letters or a combination of letters and numbers and should not be confused with Port Letters and Numbers. Radio call signs are assigned to each country by international agreement and full information can be found by a search on the internet. The International Maritime Organization (IMO) introduced a Ship Identification Number Scheme in 1987 to help prevent maritime fraud and enhance the security of merchant vessels. The unique seven-digit number issued to each vessel, preceded by the letters IMO, stays with it until it is scrapped and never changes, regardless of the ship’s owner, country of registration or name. IMO numbers were not issued to fishing boats until 2013, and then only to boats of over 100 gross tons or longer than 12 metres and which work beyond the territorial waters of their home country. They are therefore only seen on large deep water fishing boats. The IMO number usually appears on the stern of the boat, or painted on the front of the bridge superstructure. 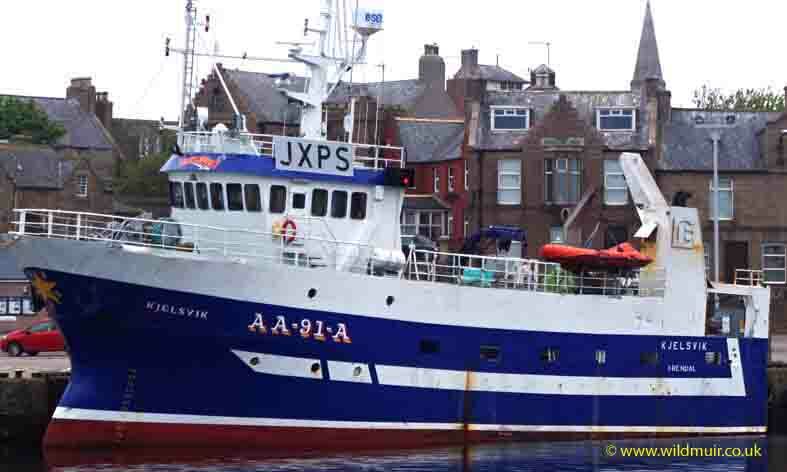 Most locally based fishing boats, including large trawlers do not have an IMO number. Full information on the IMO number system is readily available on the internet. The list below gives the Port Letters for most European countries, and I am trying to extend it to include other countries worldwide. It includes Port Letters which are no longer in use because of political or territorial changes, but may be of historic interest in identifying old photographs. but I have included a cross-reference within the main list using the nearest Latin alphabet equivalent. Historic port letter before about 1972. Tiny harbour, but registration port for many Scottish fishing boats. The adjacent port of Macduff is a major repair yard for fishing boats. Port letters are based on the 2018 fleet list from Fisheries Agency, Taiwan Council of Agriculture. However, there does seem to be a relationship between the port letters displayed on fishing boats and the individual ports shown in this table. Uses the first 2 symbols of the country international radio code (J3A through J3Z) as the “Port Letter”. MFA and MFB are the professional categories - vessels whose catch can be marketed. The difference between them is that MFA are full time vessels while MFB are part time. MFD registrations are completely different from those described previously. MFD vessels are not engaged in the catching of fish. Specifically, the MFD category involves auxiliary vessels such as those involved in the carriage of fish or assistance on fish farms. Historic marks that relate to the period of Spanish colonial rule. Political and territorial changes mean they are no longer valid.